Rev. 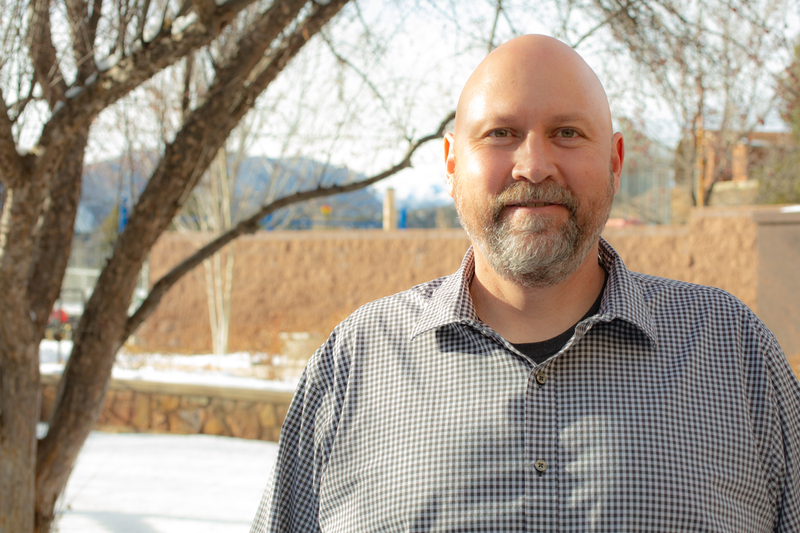 Jeff Huber has been Senior Pastor at First United Methodist Church in Durango since July of 2002. He holds a Masters in Divinity degree from the Iliff School of Theology in Denver, Colorado and a Bachelor of Arts and Sciences from the University of Colorado in Boulder. Pastor Jeff has also attended the Beeson Institute through Asbury Theological Seminary in Wilmore, Kentucky. He was ordained in the Rocky Mountain Annual Conference of the United Methodist Church in 1993 and served Collegiate United Methodist Church and Wesley Foundation in Ames, Iowa; Smoky Hill United Methodist Church in Centennial, Colorado; Calvary United Methodist Church in Colorado Springs, Colorado and Wheat Ridge United Methodist Church in Wheat Ridge, Colorado before coming to FUMC in Durango. While most of Pastor Jeffs family is from the Denver area, he spent much of his younger years in parts of California and Oregon. He graduated from Acalanes High School in Lafayette, California where he was also active in the youth group at Lafayette United Methodist Church. It was in that church that Jeff had his first preaching experience. 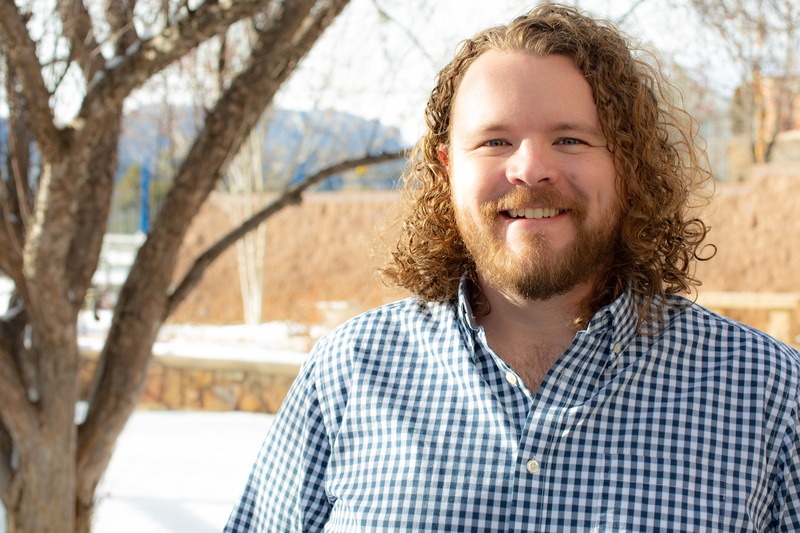 The people of Lafayette UMC encouraged him to pursue ordained ministry and while he fought it for a while, God finally got a hold of him when he was active at the Wesley Foundation campus ministry while at CU Boulder. Pastor Jeff’s passion is leading God’s church and God’s people towards a deeper faith that is relevant in today’s world. 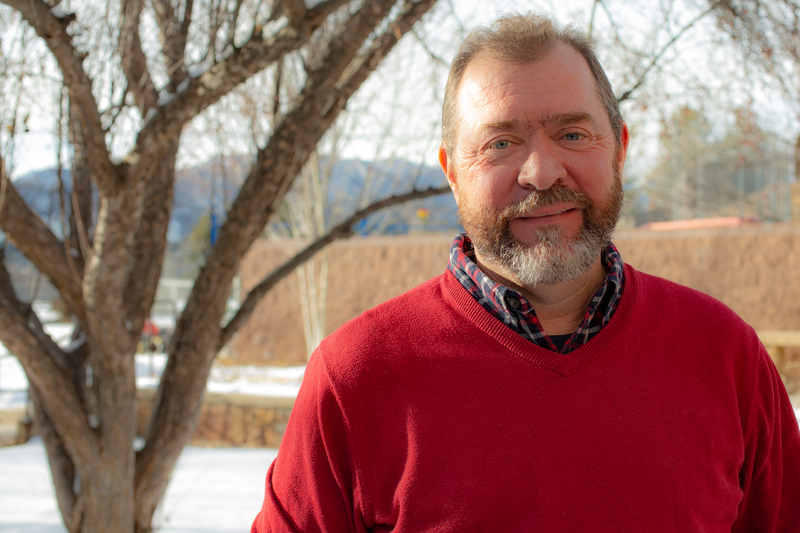 His hope and prayer is that we at First United Methodist Church in Durango will pursue God with our whole heart and strive to be Jesus Christ to the world. Jeff and his wife Tami have two children, Thomas and Vika. Karen Wallace has served as Pastor of Caring Ministries since July 1st, 2016. She completed a Master’s level Certificate of Theology in December, 2016 from St. Norbert’s College, at the Albuquerque branch, Norbertine. Prior to that she was working as a Chaplain in New Mexico for 3 years, following completion of CPE (Clinical Pastoral Education) from Presbyterian in Albuquerque. 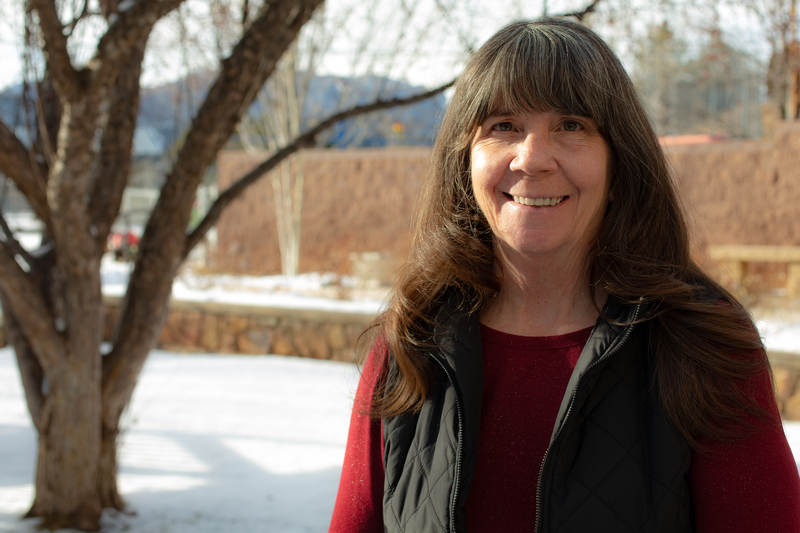 Karen worked as a Mental Health Counselor for 23 years in the Durango area, and has a Master’s Degree in Counseling from Adam’s State College. She attended Ft. Lewis College for undergraduate schooling. 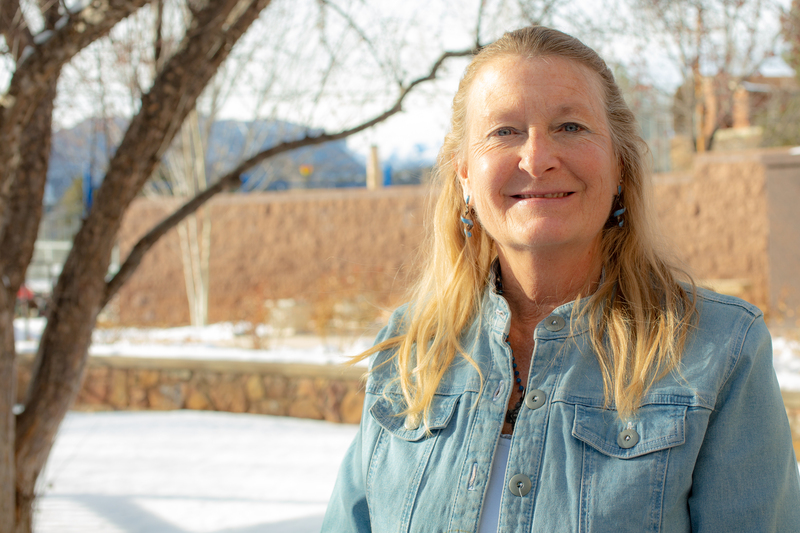 Karen’s greatest pride is her 2 grown sons, Jamin and Hudson, who were both born and raised in Durango. Karen loves to spend time with family and friends, and enjoys hiking, swimming, dancing, cooking, reading, traveling and different cultures. She has a passion for the poor and developing countries. 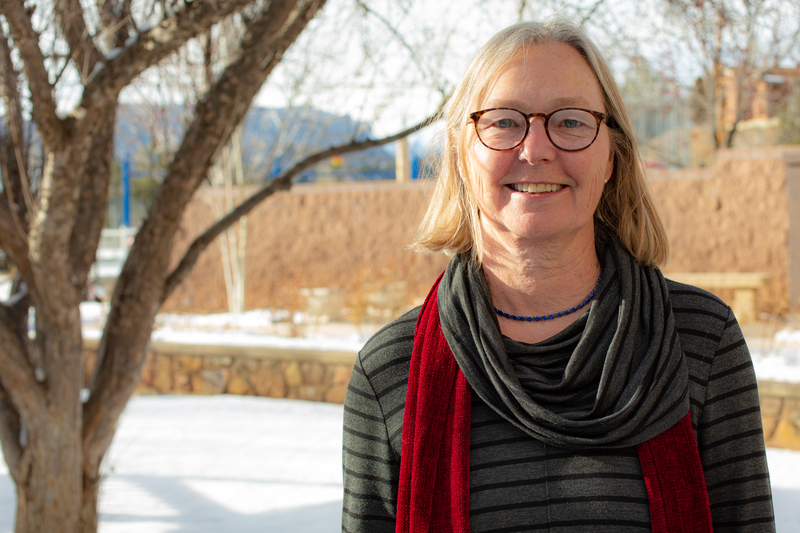 Karen is a Colorado native, and grew up in Boulder, and considers Durango home! Robb has been a member of FUMC Durango since 1992 and on staff since 2006. He grew up in Michigan as a diehard Notre Dame fan which he remains to this day. He and his wife, Amy, have three children: Chloe who is a junior at Colorado Mesa University in Grand Junction; Jacob who is a freshman at Fort Lewis College in Durango; and Zane who is in 8th grade. Robb loves most sports, but especially football, baseball, and golf. He has been on several mission trips including New Orleans after Hurricane Katrina, Greensburg, KS, after a tornado hit the town, and Kenya to work with orphanages and widows. Finally, he likes to travel and has been to four of the seven continents as well as close to 40 of the 50 states. Ely Cartwright leads the Contemporary Worship and Technology Ministries here at FUMC. He completed a bachelor’s in Music at Asbury University and a Master of Divinity at Asbury Theological Seminary, both in Wilmore, Kentucky. 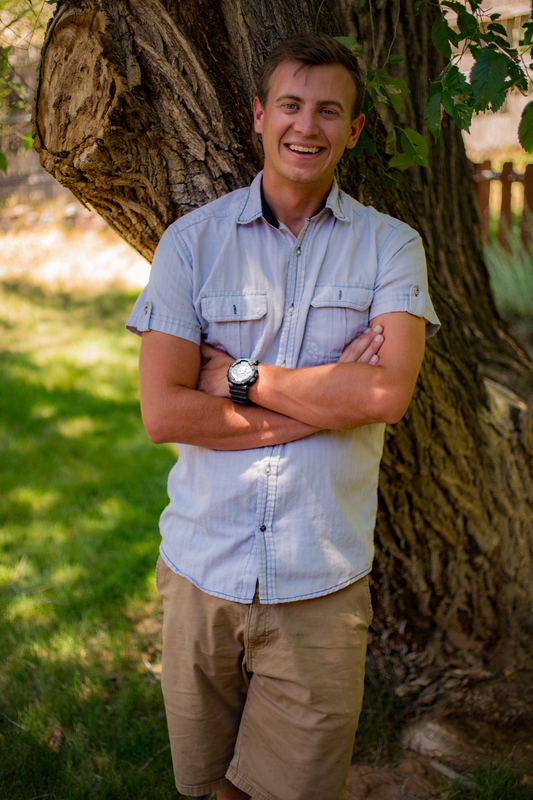 Having been involved in worship ministry since his middle school youth group days, Ely also spent several years serving the local church in Lexington, Kentucky before he and his wife, Lauren, came to join FUMC in Durango. Ely is passionate about seeing individuals and communities connected and formed through times of gathered worship, as we respond to who God is and what He has done. 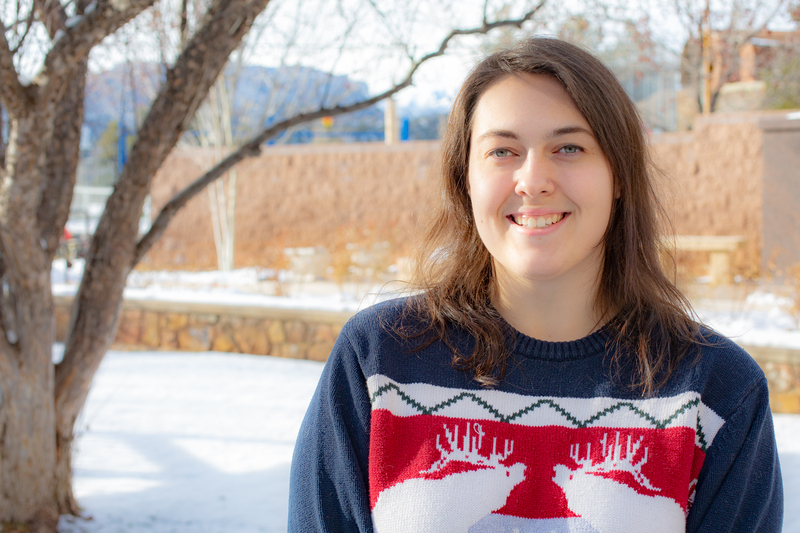 Ely and Lauren enjoy exploring the local food and music scene as well as the vast wilderness surrounding Durango, but they also really enjoy watching movies on the couch at home with their cat, Seamus, and dog, Ziva, piled on top of them. Celia Rothhaas grew up in Toledo, OH and is the second oldest of five girls. Surrounded by love in a happy home, she understood the importance of education with a solid foundation being the family. She went on to attend Hillsdale College where she pursued Speech/Communication with a minor in Early Childhood Education. Her calling was indeed, working with children. In her free time, Celia loves to read novels, play card/board games, and explore all of God’s creation. She’s happiest when she has her toes in the sand, basking in the sunlight, listening to the soothing repetition of the waves and surrounded by loved ones. Alan is the College and Young Adult Director and Residency Director. He grew up in Alamosa, Colorado and graduated with a degree in Elementary and Special Education from Adams State University. He is passionate about developing leaders, teaching the Word to students, and talking theology. He also loves all things sports, spear fishing, and tacos. 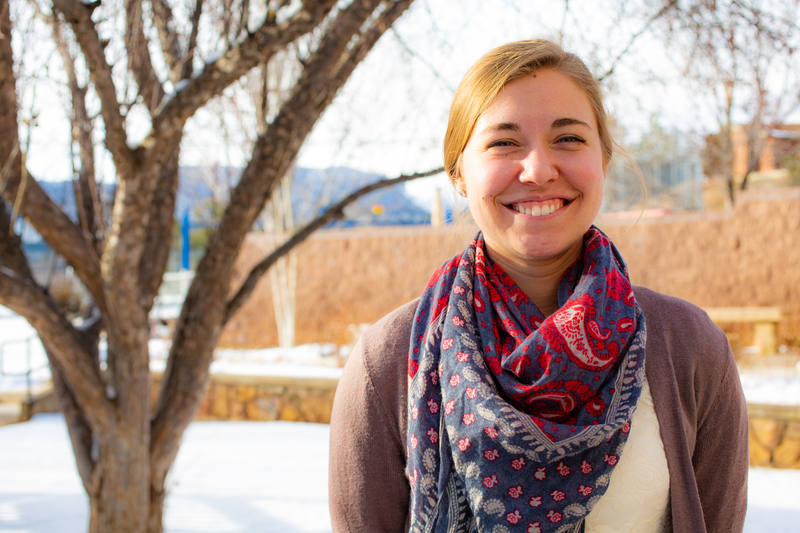 Kristin is the Hospitality Director and Young Adult Ministry Assistant. She grew up in Colorado Springs and obtained her degree in Communication from UCCS. She loves meeting up with students, helping plan events, and just generally getting to know people. Anywhere there’s board games or ice cream, Kristin is sure to be there! Stacey moved from New Jersey to Durango in June 2017. She works as the church’s communications coordinator, creating all things video. She graduated from the University of Valley Forge as a video production major. In her spare time she loves to go see new movies, or stay home and watch old movies, or talk about movies…you get it. She also loves cooking. Italian dishes are her favorite to make. The more complicated a recipe is, the more fun it is. When she’s home, she enjoys the company of her two cats. She loves driving, road trips, and traveling, and can’t wait to explore the west. Linda works at the front desk of the church office on Monday, Tuesday, and Wednesday. Her job varies day to day… well actually minute to minute! Her job is about people; she assists the congregation, the staff, the worship team and the community. She loves this job; it’s a perfect fit! Linda taught school for 20 years before retiring, moving from Vermont to Colorado. One passion in her life these days is supporting her husband Russ and the local community of those dealing with Parkinson’s Disease. This passion has reinforced our reality – the hand of God reaching out to touch us all, encouraging us to focus on gratitude and blessings. Lauren has been a part of FUMC since moving here from Kentucky in the fall of 2015. Since arriving, she has enjoyed learning to shovel snow, drinking a gallon of water a day, and discovering the Southern-style biscuits and gravy at College Drive Cafe. Lauren has three nieces under the age of 4, so little girls are slowly consuming her life. She has absolutely zero complaints. She also has adopted nieces and nephews in Kentucky and Durango that she loves to spend time with and who make her laugh. Lauren and her husband Ely have two dogs and a cat whose needs far exceed those of human children. Thankfully, they are REALLY cute and they love their family. Lauren also has a thriving two-year-old rubber tree. It is the first plant of hers that has ever survived, and she is proud. 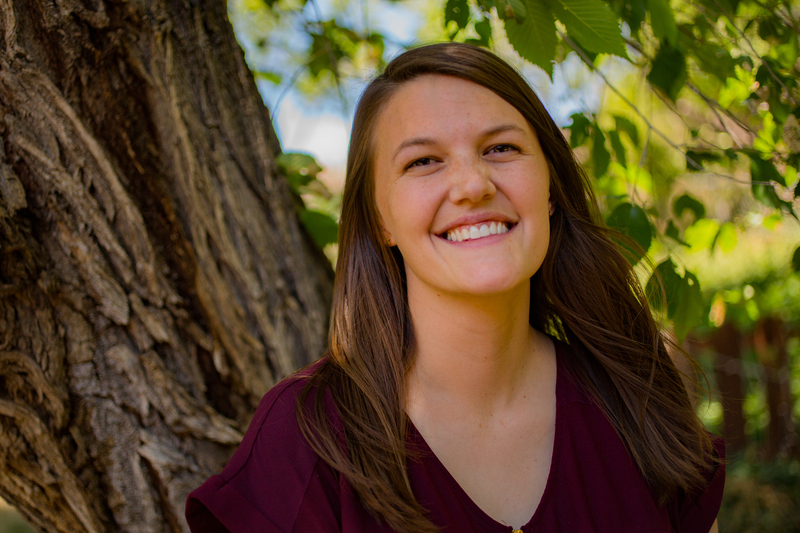 Lauren has a huge amount of gratitude for the welcoming spirit of FUMC’s members and for the relationships she has built in the Durango community. She has been gifted with many dear friendships and is happy, lucky, and blessed to call Durango and FUMC her home. Jeanette has been the director of our Christian School and Child Care Center since it first began in 1998. She has lived in Durango for 30 years and has 2 wonderful sons that currently live in Fort Collins. She feels very blessed to work with a great team of people in a job that she loves. The early childhood years are so important and she is passionate about supporting young families and children in their unique development. Besides working with children and families, she enjoys hiking, gardening, traveling and reading. A New Mexico native, Jared has been an educator and performer, in and around the Four Corners area, for the past 13 years. 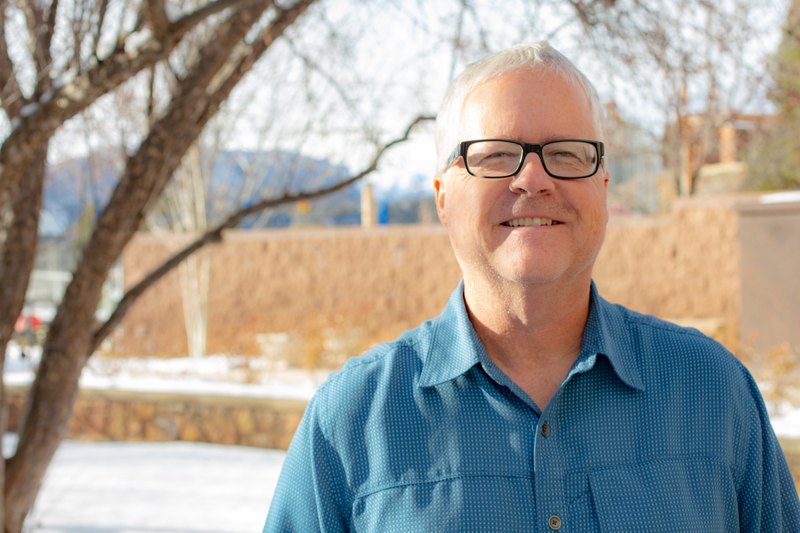 He studied music at San Juan College and Fort Lewis College in Durango, Colorado and currently serves as the Chancel Choral Director at the First United Methodist Church. Jared also works with non-profit organizations throughout the area. He also serves as the director of the Civic Winds Jazz Orchestra via the Southwest Civic Winds. Specializing mainly in Jazz & Blues education and performance, Jared enjoys a wide array of musical influences including symphonic, Latin/Salsa, Funk, Reggae, & Rock. While studying both locally and abroad, Jared has been extremely fortunate to play alongside some of the best musicians in the country. He enjoys working with students from all walks of life and personally strives to learn something new every day. In his off time he enjoys performing with several different ensembles, learning about jazz history, spending time with family and friends, and attending live concert events. Integrating a broad range of musical styles, he enjoys teaching and performing with students & adults from all walks of life. Jared encourages everyone to sing, play, and enjoy music each & every day! José Durán began his piano studies with Carmelita Rivas de Cota in 1995, and at age 12 was accepted into the music program at Universidad de Sonora. He has performed in Colorado, Wyoming, Arizona, and in the northern part of Mexico for several national and international piano festivals. José holds a Bachelor of Music in Piano Performance from Colorado State University. He was a recipient to numerous scholarships and the Accompanying Fund, serving as a staff accompanist for instrumentalists, vocalists, and various ensembles. José has been twice awarded the coveted Artistic Development Grant (2008, 2012) by the Instituto Sonorense de Cultura and the Municipal Culture Youth Prize (2009) by the government of Hermosillo, Mexico. His principal teachers are Pedro Vega, Silvana Santinelli, Kim Hayashi, and Marilyn Garst. He currently maintains an active teaching studio, serves as a collaborative pianist at Fort Lewis College, and is the pianist and organist at the First United Methodist Church of Durango. When not performing or teaching, he enjoys hiking, camping, backpacking, or just relaxing at home with his wife and their green iguana. CJ White has served as the Facilities Manager of the church since April 2010. She is responsible for maintaining all areas of the church property including the building and grounds.